If you are considering submitting a manuscript for publication these tips will help you to achieve the success you are looking for and will reduce the chance of your work ending up in the rejection pile. Once you have identified a specific publishing house to submit your work to you will be able to find all of this information under the “submissions” section of their websites. If finding the right publisher/s for your work seems like a daunting task and you are unfamiliar with all the ones available to you, you can find them in the books below. These resources include all the information you will need in a way that is organized and complete. These are a must-have for every writer who is seriously seeking publication and they will save you lots of time and open up many new opportunities that you did not know even existed. You will learn valuable information from other published authors. Their advice and connections may go a long way when it comes to getting your own work published. We have personally found that just as misery loves company, so does success! Once a person finds success in the publishing world, they cannot wait to share their advice, experience and joy and to help others obtain this same success! So if you have not done so already, reach out! You’ll be glad you did. Prior to submitting your manuscript to any publishing company, it is first necessary to make sure that it is formatted to their specifications. You can find their requirements on their websites. If there are no specific requirements listed you can be sure that the standard formatting is sufficient. When formatting your book make sure to adhere to the proper font, text size, margins, spacing, headers, footers and page numbers. You want to make sure that when you are submitting your manuscript to a publishing house it is as flawless as possible. It is very distracting for editors when they are reading a manuscript when typos, misspellings and grammatical errors keep popping out at them. To ensure you are sending a polished work, consider hiring an editing service to catch these errors so that they are not present to distract the editor and take away from the overall quality of your work. Make sure that when you are submitting your cover letter you are addressing the person that will be reading your manuscript – this is not the place to write “To whom it may concern.” Take the time to show each individual publishing company that you know who they are, understand their needs and how your work specifically provides them with exactly what they are looking for. More and more publishing companies are getting with the times and allowing for online submission of manuscripts, either directly through their website or through email. This saves time, money and paper. However other publishing companies still prefer (and require) the traditional method of using traditional mail. It is important to know which policy your publishing company of choice is using and to format your manuscript accordingly. You will be able to find out which policy they are using on their websites under their “submissions” sections. 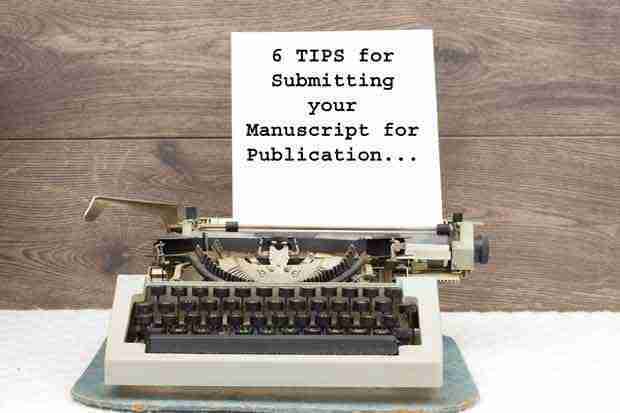 By using these 6 tips you will be able to find the appropriate publisher for your manuscript and tailor it to their requirements, setting you up for success and a real shot at being offered a contract. Do you have any other tips for submitting your manuscript to publishers that have helped you on your publishing journey? We would love to hear about them – please share in the comments section below.